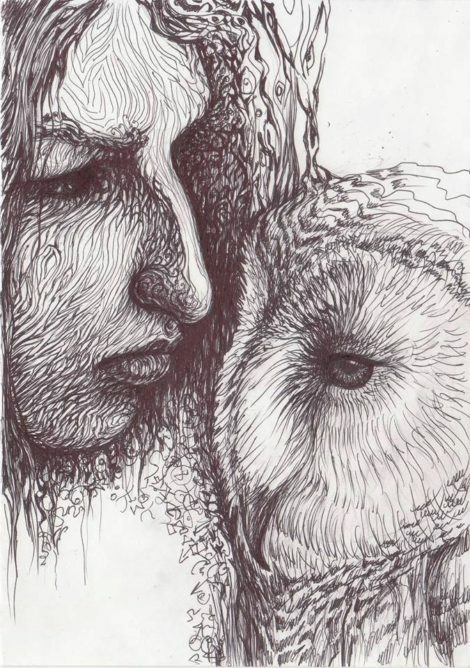 Portrait of Radiana Piț and the Owl by artist Elena Cercel, who was also Radiana’s visual arts teacher at the school she attended. In this context, the owl is not only a feminine symbol of mystery and wisdom but also a symbol of education. With the introduction of Totems, familiars, power animals and where to find them, it is only fitting to delve deeper into the world of fantastic beasts and learn more about them. I mentioned in my previous article that I’ve been noticing this popular embrace of the owl and it’s truly a wonderful thing to witness, especially because, in the old days, owls were downright spooky to people. I grew up in a cultural background where, even though owls are omens of death, they are well respected. I even have a few fond memories of the nocturnal birds as a child, right about the time when Harry Potter became popular as well. The school I’ve attended (from 1st to 12th grade, I might add!) is one of the oldest schools in the west of the country, very prestigious and well-respected. The school was surrounded by cottonwood that every single autumn was home to… owls! So many owls that the trees would bend. I remember how fascinated I was alongside the other kids and we would go to the school’s yard, despite the cold, just to gaze upon the still and silent creatures. My school, Preparandia, really felt like Hogwarts back then. And despite the superstitions, at least us children were really happy to have seen the birds. 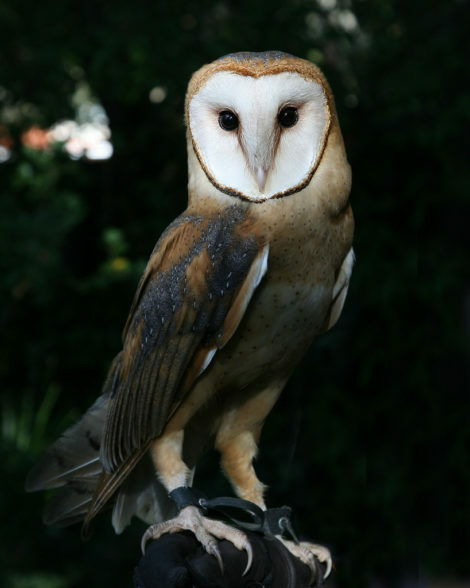 The owl is a nocturnal bird whose symbolic wisdom comes from its ability to see in the dark. 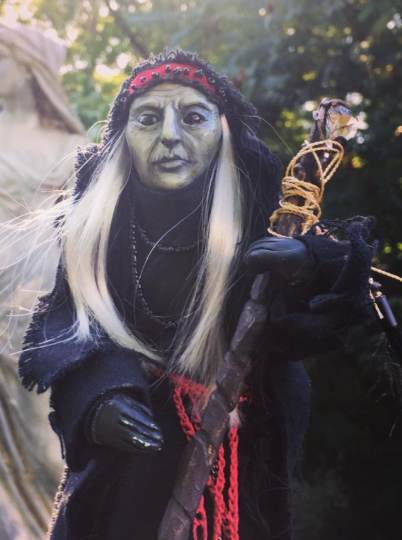 While some cultures such as the Greek and the Romans considered it as a symbol of divine wisdom and fortune, other cultures considered it a messenger of change and especially, death. Foto: Flickr. Owls are nocturnal birds of prey that have always represented evil omens, death, and illness, at least to most cultures of the ancient world. Some cultures still consider an owl’s hoot to be a bad omen. However, owls are symbols of divine wisdom and intuitive knowledge. As spirit animals, owls appear at a time when illusion must be dispelled, to announce a transition, or to encourage intellectual wisdom. You may also summon the Spirit of the Owl when you want to gain access to greater knowledge and allow it to guide your way into the unknown. According to De Occulta Philosophia, an owl is a familiar form of Saturn, which often addresses themes of death. However, death and rebirth are symbols of transition and change. 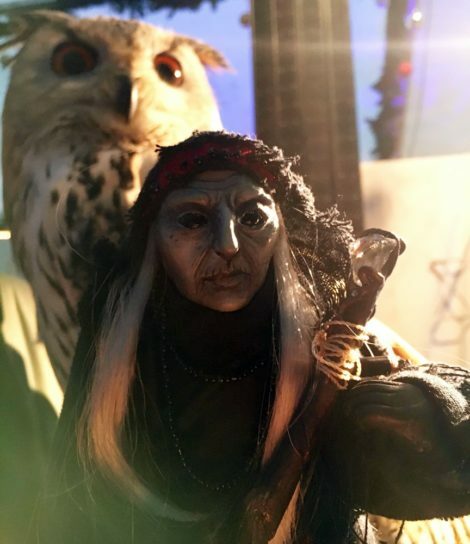 Despite its reputation as a messenger of death, the owl has been associated with Athena, the Greek goddess of wisdom, handicraft, and war, the same goddess that the Romans called Minerva. The owl has also been associated with the Sumerian goddess of love and war, Inanna, further contributing to the mythos of the nocturnal bird. This is in part why they are perceived as feminine, wise, and powerful spirits. 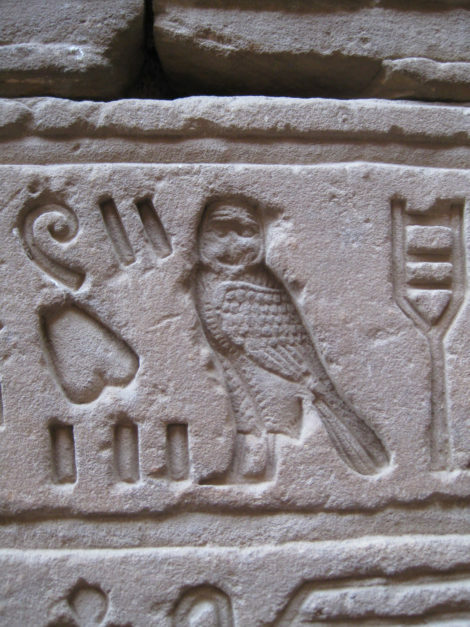 Owl hieroglyph at the Temple of Edfu in Egypt. To the Egyptians, the owl was a guardian of the Underworld and protector of the dead. It was believed that the nocturnal bird was able to guide the souls of the dead in their journey to the Underworld. Foto: Flickr. While some cultures see owls as messengers of death, other cultures see them as symbols of fortune and wisdom. I believe that lore contributes to the meaning of your totem and that learning about the myths, superstitions, and traditions around it can help you know your totem better. The hieroglyph for the letter m is an owl, and the Egyptian name for the owl is Mulak or Moloch. It was often used to allude to mourning and death and Owl amulets were also worn to help the owner in the Underworld. In African culture, the owl is associated with dark magic and sorcery and people like the Bantu and Swahili believe that seeing an owl brings about illness and hexes. The Native American peoples have also associated the night bird with death and destruction. The Cherokee believed that if an owl flies over your head in daylight, a loved one will die within a week. Mexicans also have their death superstitions about the night bird. As their saying goes: Cuando el tecolote canta, el indio muere, meaning “When the owl sings, the Indian dies”. Likewise, in Romania, Hungary, and Italy there are plenty of superstitions regarding the cry of the owl. If an owl cries near the house of a sick man, it means that death is coming for them. However, to the Athenians, the owl was a sign of fortune and the appearance of an owl announced victory. Additionally, it was also the emblem of their goddess, Athena. That was a very interesting article. I saw an beautiful owl circle in front of me, ( I live in a high rise) the day after Halloween, it appeared so benign, its feathers soft and taupey like a sparrow’s, then it flew away to my left. Yes, I agree, it is good to see people embracing the dark, the Owl teacher and not fearing it as before. We have much to learn from the wise old Owl and I’m grateful for a visit. P.S: I enjoyed your school story about the owls in the tree!